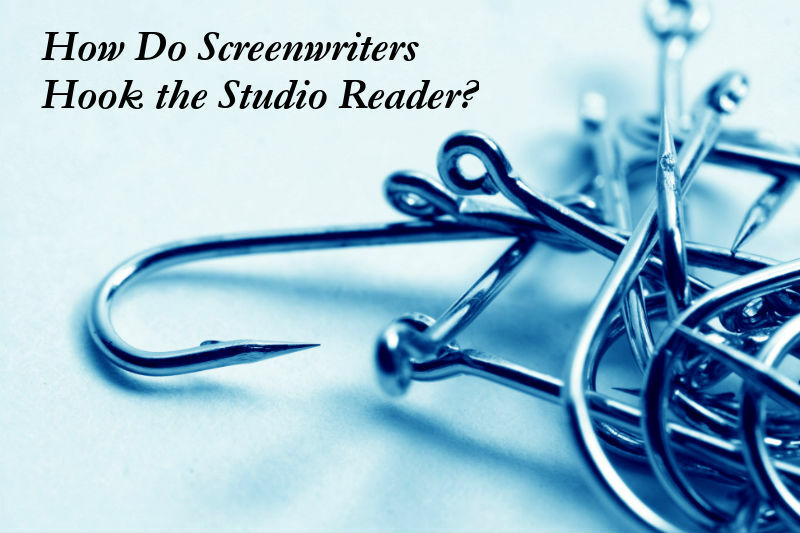 How Do Screenwriters Hook a Studio Reader and Audience? 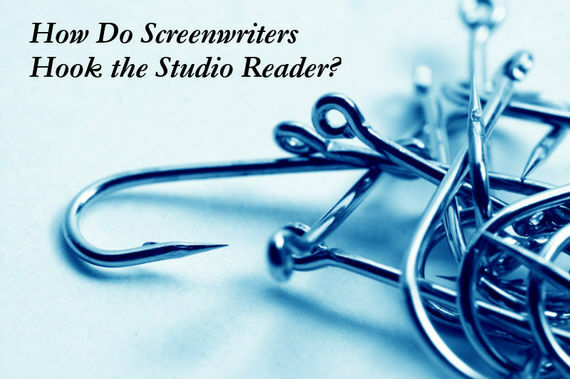 In all of my years in screenwriting, be it as a screenwriter or as a studio reader in development and beyond, the one constant has been the concept of The Hook. Any and every screenwriter has heard the term. It's been in nearly every screenwriting book, seminar, workshop, etc. "You have to hook the audience." "Your first few pages have to hook the studio reader or they'll toss the script aside." "A script is only as good as its hook and ending." It has seemingly come to the point where most screenwriters roll their eyes at the term. And it seems that many have dismissed it as guru or development rhetoric. "I'll just tell my story and let it speak for itself," many say. The fact of the matter is, the reason the term has been so prevalent in the last few decades of screenwriting and filmmaking is because the declarations of how important it is are 100% undeniably true. That first scene(s) in the script and eventual movie is so vital to the experience of the read or viewing. It's the first impression. It's what will immediately tell the reader or viewer whether or not they're going to be invested. Nine times out of ten, if you're telling a story to a friend, be it a joke or anecdote, you always start with a hook. It could be as simple as "You have no idea what happened to me today. You won't believe it." Or "Adam Sandler tore my ACL…" (true story on my part). You never start with you getting up in the morning, brushing your teeth, getting dressed, walking out the door, etc. Never. The concept of hooking the reader and audience is to create an opening moment that engages their curiosity and intrigue. We, as a human race, are a curious bunch. It is one of our strengths (and weaknesses, sure). It's built into our DNA. Why else do we click on so many Facebook posts or Internet headlines or Buzzfeed stories? Because we're curious and easily intrigued. So The Hook is vital in all forms of storytelling, but especially the screenplay. Beyond the storytelling aspects, it's necessary for the success of you making an impact with whoever is reading your script. If those opening few pages are just introductions to your characters, which is the most common occurrence found in screenplays written by novice screenwriters, the reader is going to disengage from that reading experience fairly quickly. So it's nothing to scoff at. It's nothing to push up against. The Hook is something that needs to be mastered. Let's explore The Hook in each major genre, because all too often they are very different types of hooks when you're looking at different genres. Note: There's no single answer or formula for creating a compelling and engaging hook in any genre. The below thoughts should be used as seeds to develop the way you perceive the concept of The Hook. Take what you can from it and apply your own context. We'll start with this one because it's often perceived as one of the most difficult genres to hook readers on. Too many novice screenwriters mistake The Hook with a big action sequence, a shocking murder, a gag, etc. Nothing could be further from the truth. Again, it's merely about sparking our intrigue. Engaging our minds. You need to dare us to not read on. For dramas, you obviously have to be a little more creative. For the most part, the drama hook will center around the characters, since they are usually the forefront that engages an audience, as opposed to the overall high concepts behind other genres. But as mentioned before, character introductions aren't enough. For drama hooks, you have to blend characters with the direct conflict they will face throughout most of the film. Case in point, The Big Chill. This is a talking head film about eight friends mourning the loss of a dear friend who has committed suicide. Most screenwriters would scream, "How do you write a hook for that?" One way that the writer, Lawrence Kasdan, could have attempted that was by introducing that friend and then end the opening scene with him committing suicide or implying that he was about to do that. It would have been a viable option. However, the film is more about the eight characters dealing with that suicide, so the better option, which Kasdan used, was introducing a moment where two of those characters received some sort of bad news. Little to no dialogue. Then, as the film opened, we are introduced to the rest of the eight characters in brief moments of them readying themselves to head to the funeral, intercut with the dressing of a dead body for that funeral. This image is hit home with the stitched wrist cuts as a sleeve is pulled over them, revealing an added hook. For a talking head film, this is an engaging opening. Sure, some could say, "Well, that's more about great editing. You can't write like that." Why not? Some of the best advice screenwriters can get is to write like an editor edits because you're really wanting to showcase a read that is as close to a visual experience as possible. It's not about putting camera directions in or anything like that (which you shouldn't do). It's about giving visuals and moments that combine to intrigue the reader or audience enough to want more. A similar example for a drama hook is the opening to Little Miss Sunshine, which was pretty reflective of the actual script as well. A little girl watching and acting out a beauty pageant longingly. A motivational speaker speaking to an audience of a few bored onlookers. A teenage kid working out obsessively and marking the days down on a calendar. A cocaine snorting old man. A frantic woman rushing to the hospital. A lonely and miserable man in a hospital room. The hook here is the question of "What do all of these characters that are clearly very different, some in extreme cases, have in common?" Yes, these two examples are character introductions, but notice that they are showcased in just a few short pages/minutes while raising questions of Who, What, How, and Why? As mentioned before, drama hooks are often about the characters and the conflict that they are facing. It's not enough to simply build to that conflict. You have to tease it. And in the case of Little Miss Sunshine, we quickly see the conflict in each of those characters, are hooked to see the answers to the Who, What, How, and Why, and are further hooked beyond that by wondering how they are all linked. There are many variances to be sure, depending upon the drama, the character types, the world they live in, and yes, the concept, but for drama hooks the key is to be creative to engage the reader/audience in those opening first few moments, despite the fact that you can't necessarily wow them with action sequences, explosions, hijinks, and mayhem. Anecdote: Working with a writer that was writing a military drama with some reality based action in it, the writer was struggling with creating a hook. The answer came when they moved one of those action sequences to the front of the script, opening without introduction of the lead character but showing them in action. Then, the scene ended suddenly, just as the character was in danger, only to go back in time a bit to introduce them outside of that world/setting and build up to that moment. This engages the reader/audience because they want to see how this character gets to that moment of danger. The easy answer to action hooks is to create a big action sequence. The James Bond and Indiana Jones movies have done that so well. Easier said than done with other movies however, and all too often, it's not enough. In the case of James Bond, Indiana Jones, and other franchise characters, we know those established characters so well that they require no added element all too often. But with originals, you have to create something truly compelling. Bullets and mayhem, especially on the page of a script, isn't compelling by itself. Readers get bored very quickly with action sequences, unless they have a story to tell of their own, which is a whole different point we'll cover another day. The secret is to wrap the core concept of the film, the hero, the villain, and if possible, the world/setting, into it all, and offer some action to accompany that. Case in point, Point Break. If there's a pure example of this, it's the opening of this action flick, which is now considered to be one of the best in the genre. It's very high concept with the likes of an FBI agent having to delve into the world of surfing to find a group of bank robbers. So right there, we have a concept, a hero, villains, and a world/setting. The film and script embraces this and wraps those all together in the opening moments. Here we open with surfers cutting waves and then we're quickly introduced to our hero in action, displaying his skills. Right after this clip comes the first bank robbery, which offers some more action while introducing the villains. We've been introduced to the world, the hero, the villains, and the concept will come shortly after. All within the first few pages/minutes and accompanied by action. And as laid out, we're hooked to find out how this hero is going to take on those bank robbers. It doesn’t all happen in once scene, no, but it does happen within those first opening scenes together. In The Rock, we have a similar opening, but presented even faster and to the point. We're introduced first to our villain. We quickly learn his beef and motivation. And then we're introduced to an action sequence that teases the concept. After this scene, we are immediately introduced to our hero in action, and then we find the concept presented full force as the villains take over Alcatraz. That's how hero, villain, concept, and world/setting in the opening few moments of the script/movie. Hooks don’t always have to be a single moment, single scene, etc. They can be a compilation of moments in those opening few pages. In Top Gun, we are hooked even faster (this is after the iconic opening credits). We're introduced into the world of Naval Aviators. We're introduced to our hero in a compelling action sequence that leads to Maverick having to save his friend. We're introduced to the true antagonist of the film, Maverick's, well, "maverick" ways. Read ScreenCraft’s 15 Types of Villains Screenwriters Need to Know. And shortly after this clip, we're introduced to the concept as Maverick and Goose are sent to the Top Gun school. These are but a few examples to follow when writing action hooks. If you wrap the elements of concept, hero, villain, and world/setting into that opening action sequence, that's when you'll truly engage the reader/audience. Horror hooks are a scream to write (sorry, I couldn't resist). Depending upon the type of horror, you'll often find that first kill or stalking. While Jaws is usually regulated under the suspense thriller genre (the two together can often equal horror), it really does play like a slasher movie when you compare it with the likes of Friday the 13th, Halloween, etc. Just with better acting. The opening of Jaws, focuses on a point that many horror movies open with. The villain. The threat. The script could have otherwise opened with Chief Brody waking up, showcasing the world/setting of Amityville, and then the eventual discovery of the body, however, with this opening below, readers/audiences are fully engaged, especially when introduced to the hero, knowing that they are going to have to go up against this horrifying threat. Then we have the likes of Scream, which has one of the most engaging openings of all time. This is the first kill of the film, with the unique twist of killing off who we likely thought would be the heroine. The engaging hook here, beyond the kill, is that it's clear that no one character is same, no matter how prominent they are. But while showcasing the first kill can be an easy trope to utilize in this horror genre, the key element is introducing tension. Tension in a horror film is everything. It leads to anticipation, which is another key element in this genre. So sometimes you can open a horror film by introducing the world/setting and the characters within, but use tension to create a sense of unease. In the horror genre, locations are often part of the horror. They are characters. Watch any haunted house movie for proof. So adding tension to the visuals and set-up of those locations are key. If you watch movies like The Shining, you'll quickly understand this concept. Even Alien handles this well by introducing the world, complete with a sense of tension. The central focus in most comedies are the lead characters and the world they are thrust into. All too often, they tell a tale about a fish out of water scenario. If not, they focus on the oddities of the lead character. Look no further than The 40 Year-Old Virgin where we open up with a collection of moments showcasing the lead character's life. It opens with a gag of him getting out of bed with an erection (morning wood) and going about his routine with it ever-so-present. Then we see his action figures and simpleton life. Those are his oddities. Dumb and Dumber does the same, in a more hi-jinks sort of way. On the flip side, Caddyshack opens up with the world/setting of the golf course, accompanied with the many sight gags and golf tropes that we know and love. With comedy hooks, it's key to latch onto where the comedy will be coming from. Is it the character and their oddities? Is it the world that they are living in or are thrust into? Whatever the case may be, that's where the focus should lie in those opening pages. They can often be similar to that of the horror hooks, however, this genre expands beyond scares alone. Mystery and crime thrillers can fall under this category all too often as well, thus you can't necessarily showcase that first kill or introduce that world/setting with tension. You have to think especially out-of-the-box for thrillers because readers/audiences will be expecting just that -- thrills. And thrills in thrillers are often less about overt action. There has to be intrigue. There has to be a story and character based hook that keeps them engaged. Perhaps the most unique hook ever for a crime thriller came in the likes of Memento. A strong concept -- in this case where the story is told from end to beginning instead of beginning to end -- can often do all of the work for you as far as creating a hook. Then look no further than The Usual Suspects, which injected a little mystery of a faceless character doing no good, then jumping back in time to see the events leading up to that moment unfold, all while the reader/audience is continually wondering who that faceless character was. These are all but a few seeds to nurture as you conceive your opening pages for your script. The Hook is not what gets the reader or powers that be to read your script. That's the concept or logline, which are one in the same. But what keeps them engaged and reading that script is The Hook. That's what cinema is about. Being engaged by something and exploring it further. Screenwriters need to think like fishermen. Slap the nice juicy worm onto that hook, and know that it's going to attract some game. In fishing, if you can't hook them, you have no food or trophy. If screenwriting, if you can't hook them, you have no career to speak of. The rest of the script needs to live up to The Hook that was offered, sure, but screenwriters need to master the art of The Hook to get them invested into that script in the first place. It's nothing to scoff at or dismiss as rhetoric. It's proven by readers and audiences. Hook ’em and hook ’em fast. Do that and you’re a step above the rest. If you can do it with a couple of scenes in the opening pages, great. If you can do it in one opening scene, outstanding. Just hook them as fast as you can.